People giving consideration to adopting a greyhound have many organisations in NSW that re-home greyhounds. Some of these organisations have gained a status as an Approved Greenhound Re-Training Program. One such program is Greyhounds As Pets. Greyhounds As Pets is a leading organisation that re-homes retired racing greyhounds and greyhounds that were not suitable to a racing career. Greyhounds As Pets has experienced significant growth in the last two years, finding homes for hundreds of greyhounds each year. The program has access to a number of qualified experts in greyhound behaviour and prides themselves on the education, resources and unrivalled support they provide all potential and existing adopters. All greyhounds available for re-homing through Greyhounds As Pets are vet checked, de-sexed, microchipped, vaccinated, wormed and lifetime registered with council. 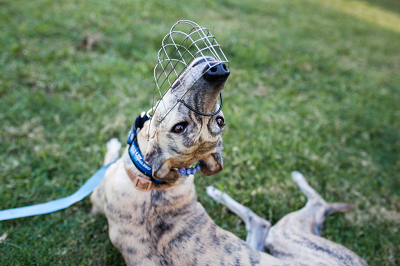 From time to time, Greyhounds As Pets may have greyhounds available for adoption that have already gained their Greenhound collar and muzzle exemption. Any greyhounds adopted through Greyhounds As Pets are automatically enrolled in the Greenhounds program and the cost of the assessment and Greenhound collar are included in their adoption fee.